In its best years, the first 15 miles of the JFK 50 are difficult. This is due to the course running up South Mountain and across 11 miles of the Appalachian Trail (AT), and making it across without tripping or injuring yourself is pure relief. 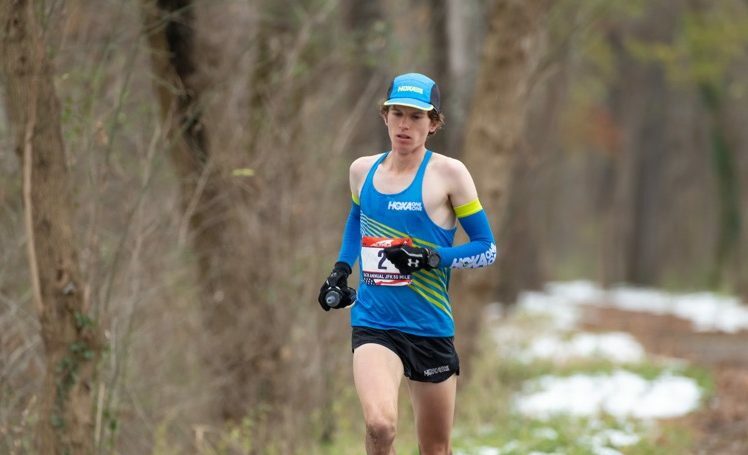 An unusually wet fall in western Maryland was bound to make conditions on this portion of the course even more miserable, especially for those of us in the mid to rear pack. We were not disappointed. The wet snow that fell prior was just a bonus. Giving myself a reasonable four hours to clear the AT, I rolled onto the canal in 3:56. That was my slowest crossing ever, but the AT had been 20% more difficult than usual with all the mud and water. Not nearly as bad as I had anticipated. The reward for surviving the AT would be 26 mind-numbing miles on the C&O canal. Flat and scenic, you had to be cautious about running too quickly and always be ready for the mental game of managing the distance. Report author Luke Rowe running his 11th JFK 50. Photo courtesy Luke Rowe. As we ran across the first few miles on the canal it seemed in decent shape aside from a few puddles. The apparent good conditions had me thinking I could cover the canal portion in 4:45 and I would have a good shot at a reasonable finish. Unfortunately, the canal conditions worsened to what I think we can generously call a muddy slip-and-slide for at least 20 of the 26 canal miles. Many runners had changed shoes after the AT, but I did not. The impact of this decision was that I only ruined one perfectly good pair of shoes rather than two. Fortunately, my Merino CEP socks were up to the challenge and my feet stayed dry and comfortable when not actually running through a mud puddle. My goal for the canal was sub-five hours, and the mud and some cramping slowed me down over five miles. Getting through aid stations quickly, I pumped salt and fluids. While I harbor doubt each year, eventually the canal does end, and the mile 41 aid station welcomed us with a reflective arm band for the third and last segment of the race. I was now headed towards my 11th finish. The rolling hills, especially that big hill at mile 41.5, was a welcome relief from the flats of the canal. I was finally on a solid surface and it felt sweet. Slowly my legs came back and by mile 47 I was running sub-11-minute miles with a short walk. My mind is not great at calculating on the best of days, but I did the math and realized that I would at least be finishing in under 11 hours. Only in an ultra is it possible to go from feeling like crap to sheer bliss during the last miles. With a half mile to go, I popped up to the top of the final hill and could see the lights at the finish line. They are always a wonderful sight, and today they just looked beautiful. Feeling good and kind of alone on the course, I raced towards the finish. Typically, I might have felt I had saved too much for the end but today it was just a rush to be finished. I’ve said this a lot throughout my 49 years as a runner – the last step is always the best step and today was no different, only a whole lot better. My time was 10 hours and 48 minutes. Just four more finishes and I’ll be able to join the 750-mile Club. Nice work Luke! 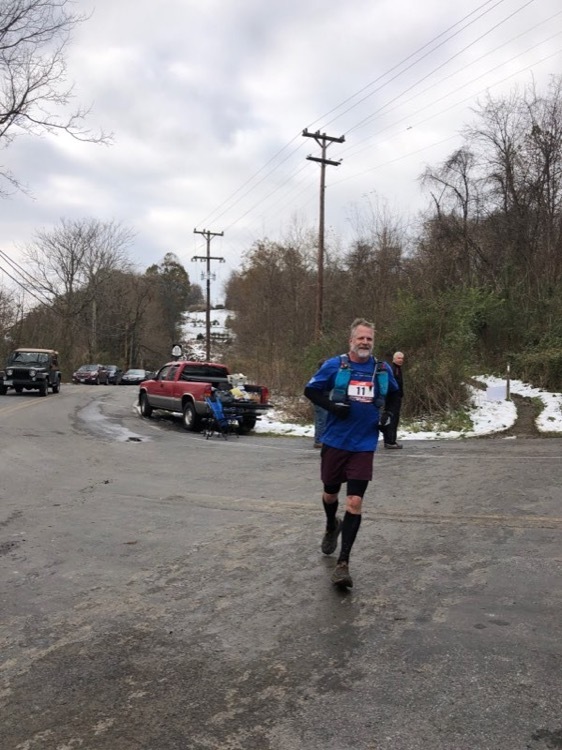 Congrats on your 11th finish at JFK50! As you know, this was my first ultra, and you coached , trained, and even crewed me for it. I still remember how you commented after the race that I executed it perfectly. Thanks so much for all your wisdom and support during my early marathon and ultra running days.